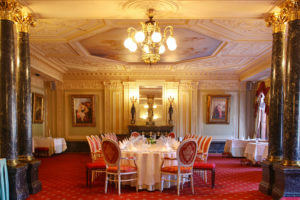 The Taleon Restaurant is located in the historic interiors of the Eliseev Palace. Here you can taste unique dishes of European cuisine, cooked by chef Alexander Dregolsky. 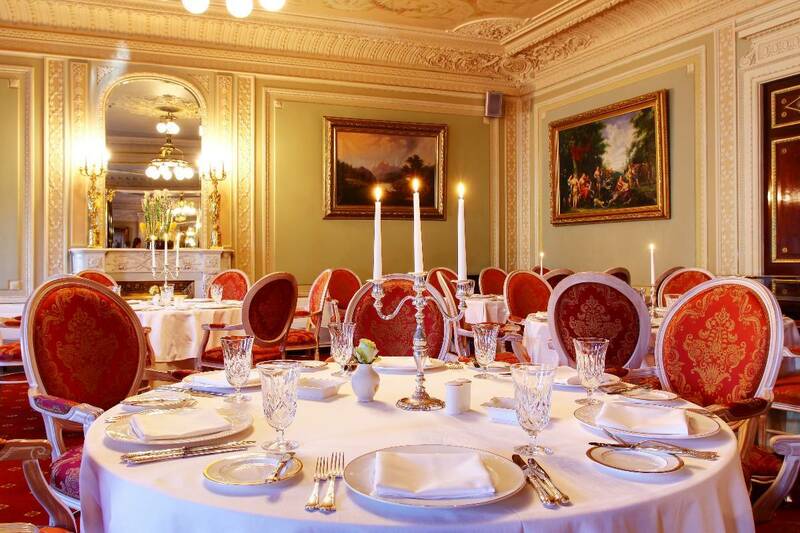 Irreproachable service and high quality of the kitchen make “Taleon” one of the best luxury restaurants in St. Petersburg. 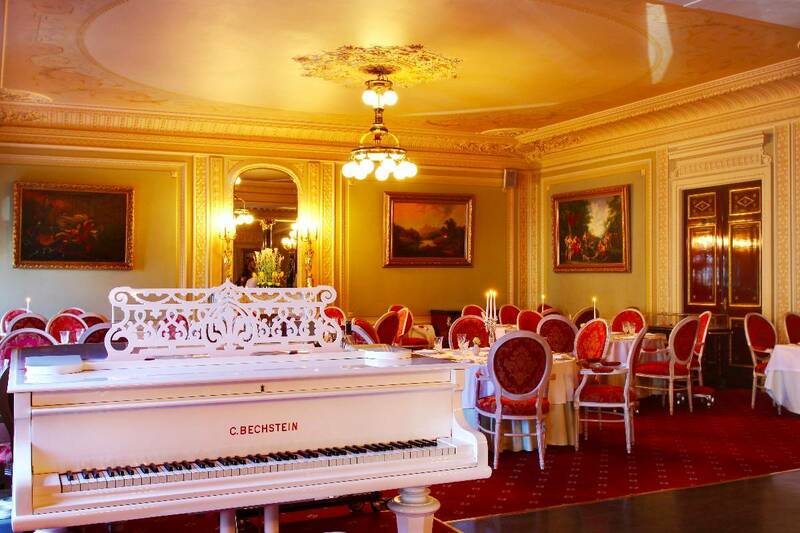 Taleon Restaurant is one of the few places in St. Petersburg where the guests can dine in historical 19th century palatial interiors. 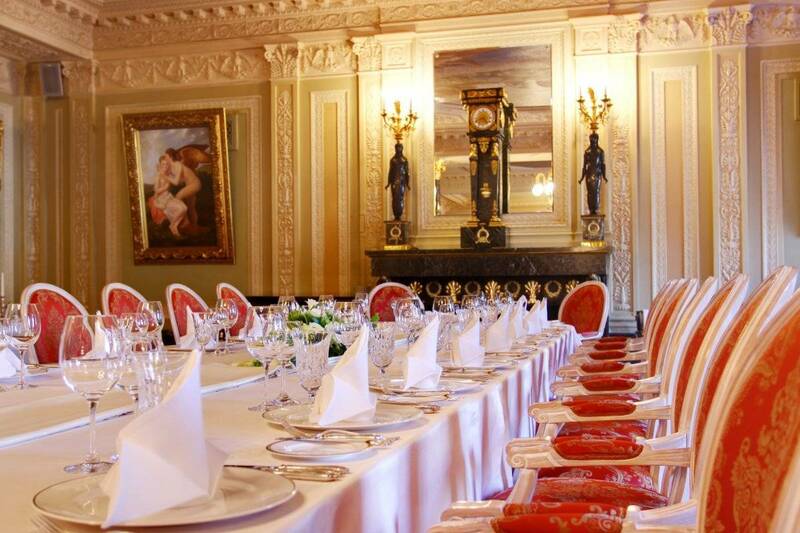 Located in the former study and reception rooms of Stepan Eliseev, the last pre-revolutionary owner of the palace, the restaurant preserves the splendid atmosphere of gala age. 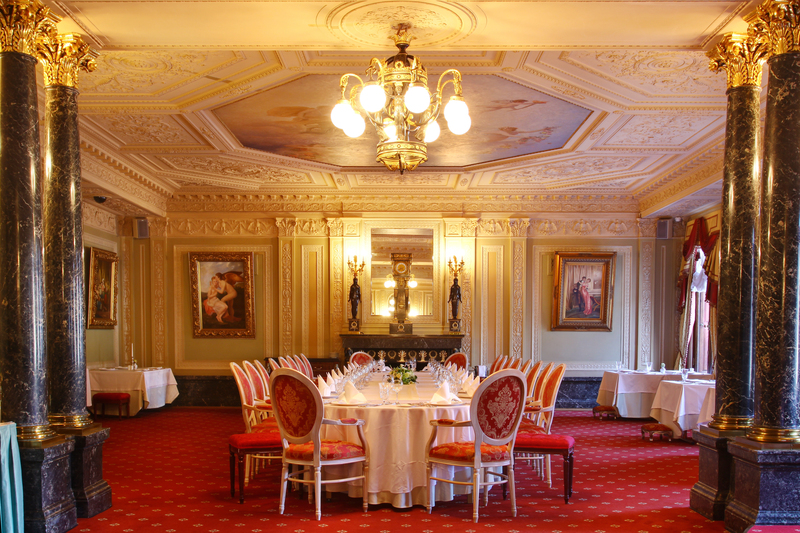 The former reception room on the left side of the restaurant is decorated in Louis XVI style. The former study on the right side is decorated in Empire style of Napoleon Bonaparte. Egyptian sculptures Victoria and Glory staying between the columns as well as Egyptian female figures on the fireplace enhance the beauty of the room. Two original plafonds dominate the ceiling decor. The central one images the Mercury, the patron of trade, and Fortuna, the goddess of luck and success. It is well known that Eliseev dynasty was accompanied by luck and fortune in creation of the famous Eliseev Trade House in Russia. The other plafond images Apollo, the patron of art, and his muses Terpsichore and Erato. This plafond reminds us that Stephen Eliseev was philanthropist and fond of art and culture. Sunday is the day when you want to be with the family and friends. ‘Brunch at Taleon’ is renowned as one of the most exquisite Sunday events in the city. 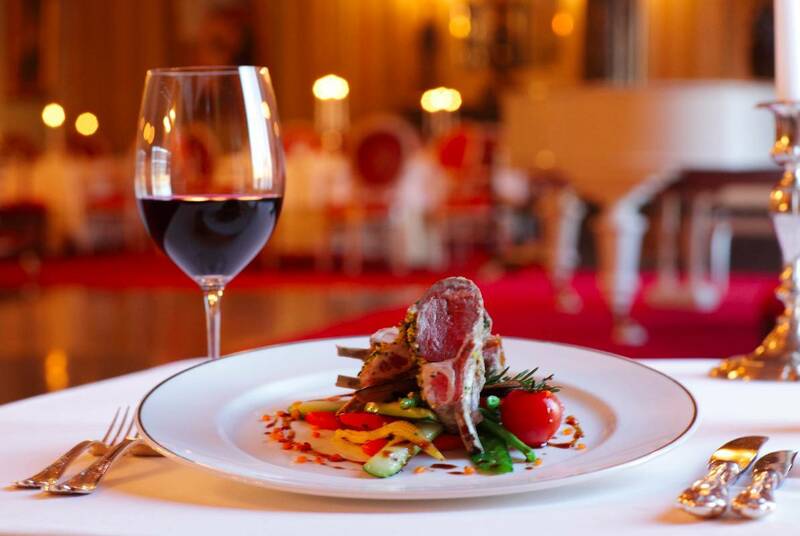 The prime service, attention to details and of course gastronomical masterpieces won’t leave guests indifferent. Accompanied by life piano music the Sunday Brunch became a signature event at the Taleon Imperial Hotel. 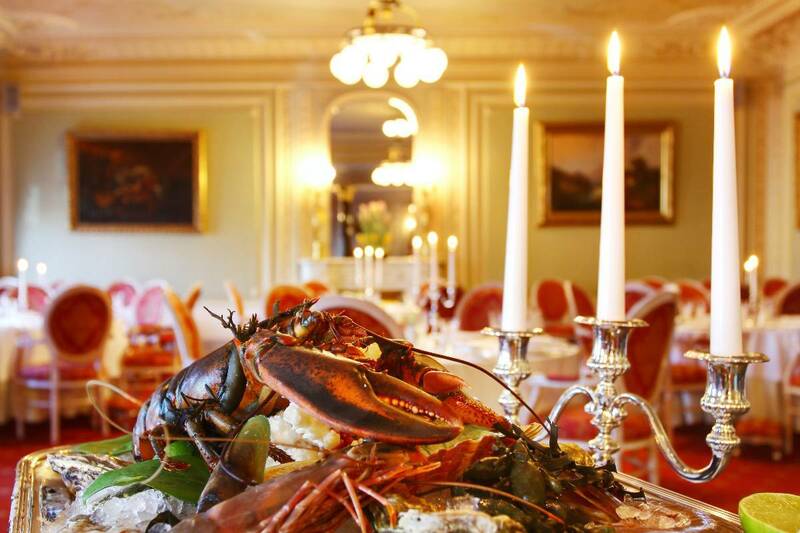 Enjoy caviar, blinis, Champaign, fresh sea food, and traditional Russian dishes in the palatial décor of the Taleon restaurant. Traditional Sunday Brunch is served on public holidays from 1 till 5 p.m. Please address our concierge to check the closest date of brunch.